The Lace Holy Grail is a remarkable hum-canceling vintage-toned guitar pickup. Conventional stacked pickups sacrifice the high and low end, but the Holy Grail's patented breakthrough sidewinder design retains the depth and the sparkle that is the hallmark of vintage tone. Pure Alnico 5 magnets combined with Lace technology delivers that classic tone you have been searching for. 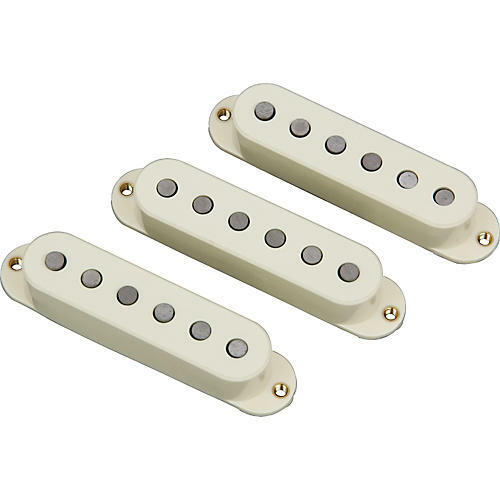 The rich tone of Holy Grail Noiseless Pickups sounds good both clean and distorted. 3-pack with (2) HG 1000 neck and mid and (1) HG 1500 bridge.